"MARIA is available in this limited CD-sized hardcover package and in this VERY SPECIAL, larger, limited-edition hardcover book (24cm x 24cm), which features the complete album on CD, a DVD documentary and 200+ full color pages displaying the story behind the album and Cecilia Bartoli's personal collection of Maria Malibran artifacts. Cecilia Bartoli revisits the early Romantic era of Rossini, Bellini and their contemporaries and views the Bel canto glory days through the eyes of Maria Malibran: Romantic icon, Bel Canto muse, and the most extraordinary opera star of her time. 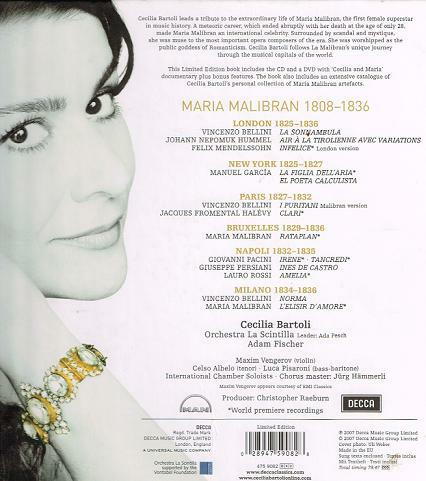 MARIA features 8 world premiere recordings including the prayer 'Se il mio desir...Cedi al duol' from the long lost opera IRENE by Pacini, and the aria 'E non lo vedo...Son regina' by Malibran's father, the famous Rossini tenor Manuel Garcia. Bartoli also presents the London version of Mendelssohn's 'Infelice' for voice, violin solo and orchestra, where she duets with Maxim Vengerov. The album also includes popular favorites, such as Bellini's 'Casta Diva' from NORMA. Maria features an incredible variety of music. Mellifluous Bel canto delights are contrasted with regional flavors from around the world: from Spanish flamenco to Tyrolienne yodeling. 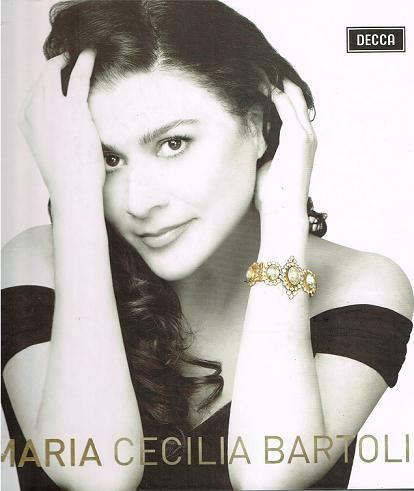 The album exhibits Cecilia Bartoli singing in four languages: Italian, Spanish, French and English. She is joined by the period practice Orchestra La Scintilla, led by Hungarian conductor Adam Fischer."